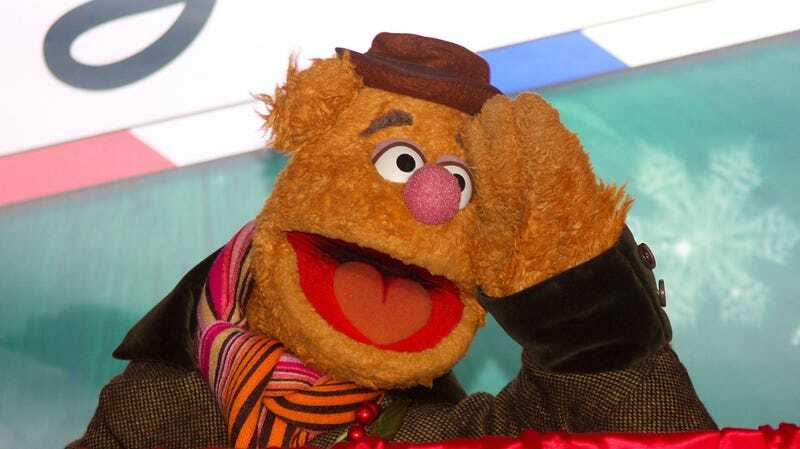 There’s a lot to love about Fozzie Bear, the “Wocka Wocka”-ing, endlessly optimistic underdog of the Muppets crew. Much of that has to do with director Frank Oz, who spent 24 years as Fozzie’s voice actor and puppeteer, working with his friend Jim Henson to create the warm, anxious, perpetually heckled bear that most of us have known and adored since the early Muppet Show days. As such, Oz himself is pretty familiar with Fozzie—and equally protective of him, which quickly became clear in a heated argument he had with a well-known ursine collector on Twitter today. Brandreth with his Fozzie in 2006. Earlier this week, Brandreth tweeted about his collection’s new home at English country house Newby Hall, showing off his original Fozzie and its place of pride at the Brandreth Bear House. And honestly, we get it; not only does this concern the fate of a character Oz spent a huge part of his life defining and embodying, but it also touches on the legacy of Henson himself. It’s actually very touching to see Oz get quite so angry on the topic of someone supposedly trying to profit off of his friends, real and imagined. In any case, Brandreth’s account has yet to respond to Oz’s questions and accusations (even with a thrown tomato or two).